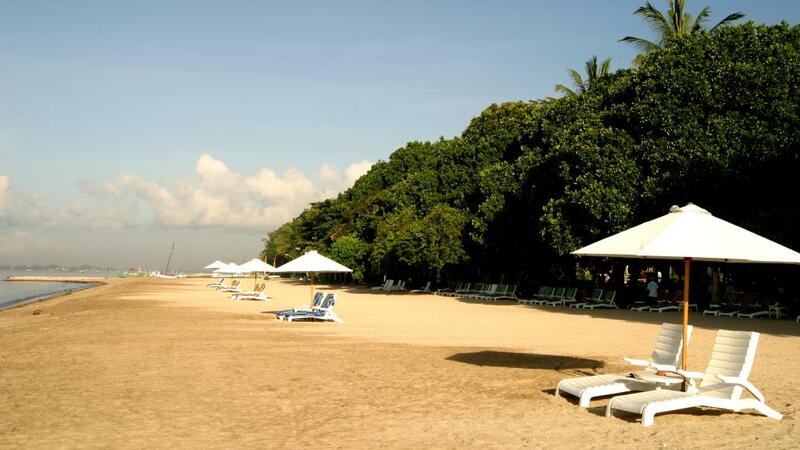 Sanur is Bali's oldest upmarket resort area and is an established beach-side town. However, despite its abundance of restaurants and accommodation, it remains quiet, relaxed and peaceful. Sanur has a wealth of cultural, natural and historical attractions which is balanced perfectly with the quintessential shopping and beach-related sights so there is something for everyone. The Annual International Kite Festival is celebrated every July and features traditional Balinese giant kites up to 10 m long which are made and flown competitively by teams from different villages. If you're travelling outside of the festival don't despair, aside from the organised event, the kites can be seen practising year round. A popular attraction for all you art and history buffs is the Le Mayeur Museum. Former home of noted Belgium impressionist Adrian Jean Le Mayeur, the museum is now dedicated to his life works. If traditional Balinese culture interests you than it's hard to go past Pura Blanjong (Blanjong Temple), one of the most notable temples in Sanur. Its significance is steeped in the historical inscription set into one of the stone pillars, known as Prasati Blanjong. The inscription tells of a Javanese king who visited Bali in the 10th century and ordained what is considered to be Bali's first formal government. As Bali's oldest known artefact, the temple's grand scale and importance make it a must see for all visitors to the island. As well as shopping and eating, there are plenty of photo opportunities along Sanur's paved beachfront cycle path. Stretching approximately five kilometres from Jalan Mertasari in the south to the main beach at Jalan Hangtuan in the north, the path is fantastic for a scenic bike ride, particularly in the morning. Another favourite is the local night markets which are a sensory delight and offer plenty of food options. The weather in Sanur is mild and pleasant with daytime temperatures falling between 20C and 33C (68F to 93F) year round. December to March brings the west monsoon and along with it heavy showers and high humidity. However the days are still sunny and the rains, starting in the late afternoon or evening, pass quickly. June to September sees the humidity drop and the evenings can get quite cool. The main street of Sanur is packed with car, motorbike and bicycle rental outlets to help you get around the island. Metered taxis also patrol the streets looking for passengers so it's never hard to get from A to B. Local bemos (buses) run up and down Jalan Danau Tamblingan and Jalan Danau Poso but these are erratic. Sanur is a great place to walk as distances are not large and the streets are relatively quiet. The paved beach front path that runs the length of the district is also a pleasant option to see the sights as you stroll along.